Nature Coast EMS works hard to provide excellent and cutting edge prehospital medical care with integrity by “Serving with Excellence & Compassion.” It is with great pleasure that Nature Coast EMS announces Floyd Mead as our 2016 Star of Life. Floyd has spent more than 27 years working in emergency medical services. 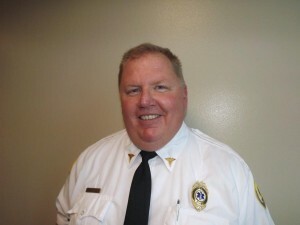 He began working in Illinois as a Paramedic and firefighter before coming to Nature Coast EMS in 2004. The last two years have forced Nature Coast EMS to be very flexible and Floyd is no stranger to that. With a changing medical climate, Floyd Mead has worn many hats. He rose from working as a Paramedic on the road to Lieutenant, and then on to QA Supervisor. This last year Floyd was tasked with the job of coming back out of the office and working as a Shift Supervisor. Floyd has excelled in every job title he has held. He has proven himself to be a priceless asset not only to Nature Coast EMS, but also to EMS as a whole. Floyd was selected by his team members for this award for his dedication, compassion, and leadership in our organization. He has been described as a self-motivated leader who always does the right thing. Floyd demonstrates the utmost level of integrity and cares for his patients and his team members as he would his own family. Floyd can be found on most holidays working for other team members who have young children so that they can be home with their families. The personal sacrifices he has made are countless. patients’ and staff members’ experiences. Outstanding patient care and compassion for his fellow EMS workers are Floyd’s core values. He exemplifies what it is to be a forward thinking EMS leader. Floyd and his wife, Hope, live in Inverness, Florida and have four children.